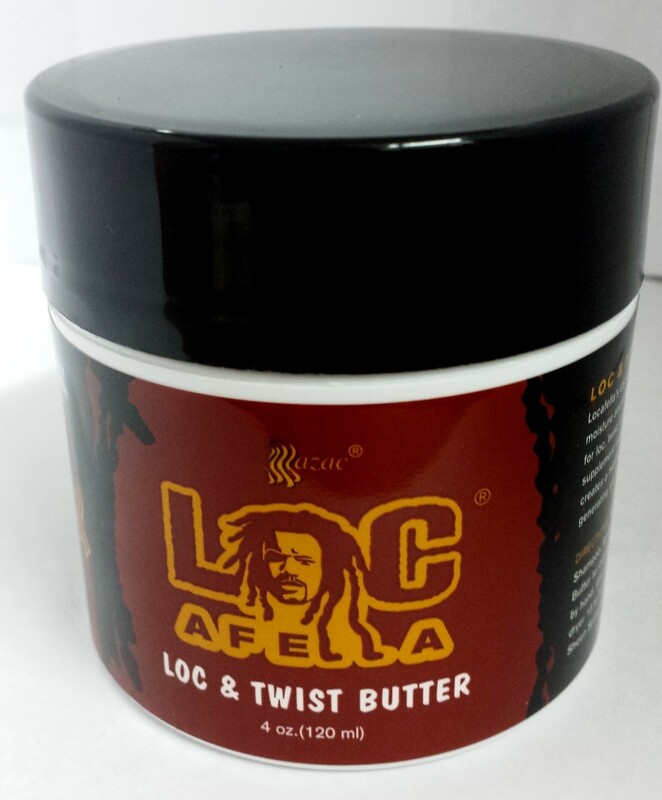 Razac LocAfella Loc & Twist Butter effectively protects your hair's moisture and protein balance as you style. Exclusively designed for loc, twist, and coil styles this extraordinary styling supplement made with a mixture of Jojoba Oil seals in moisture, generating any excessive build up. Directions: Shampoo hair with Locafella Moisturizing Shampoo. Rinse and towel dey. Apply Locafella Loc & Twist Butter to individual sections and twist firmly with a comb or by hand. After twists are created over entire head, sit under dryer 15 to 30 minutes or until dry. Use Locafella Reflections Sheen Spray for additional sheen.